Gang violence in Los Angeles has always been a problem, but the recent death of a Rollin 100 gang member has sparked a sickening bet that could see killings rise dramatically in the next few months. Following the death of infamous Rollin 100 gang member ‘KP’, under the hashtag #100Days100Nights, gang members on both Twitter and Instagram are issuing a sinister warning to Los Angeles residents. 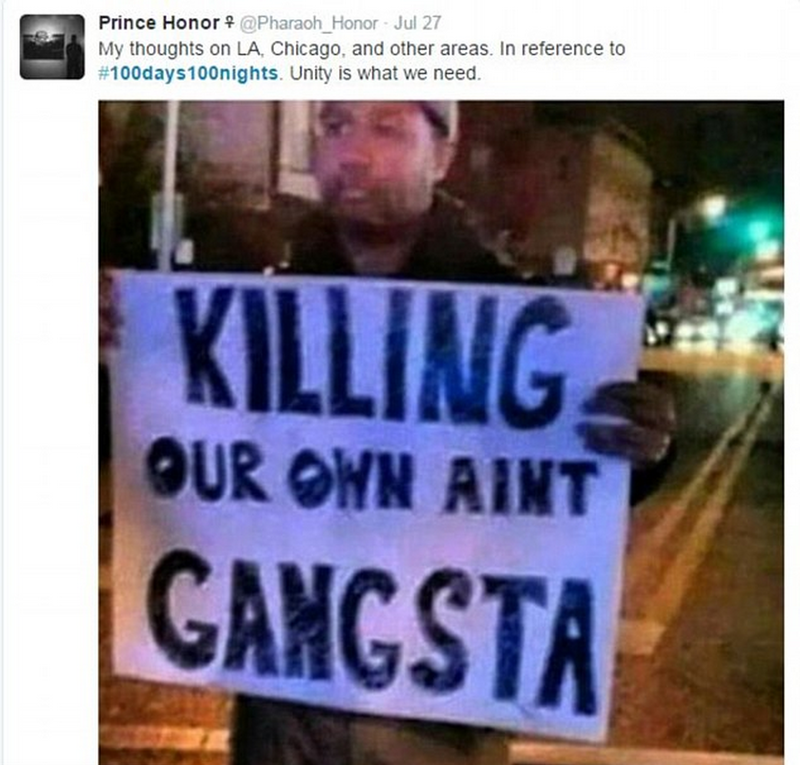 Basically, the hashtag serves as a bet between two gangs to see who can kill 100 people first, within the next 100 days. Even more sinister is the fact that these 100 people can either be gang-affiliated, or completely innocent. A source confirmed the reports exclusively to The Daily Beast this week. 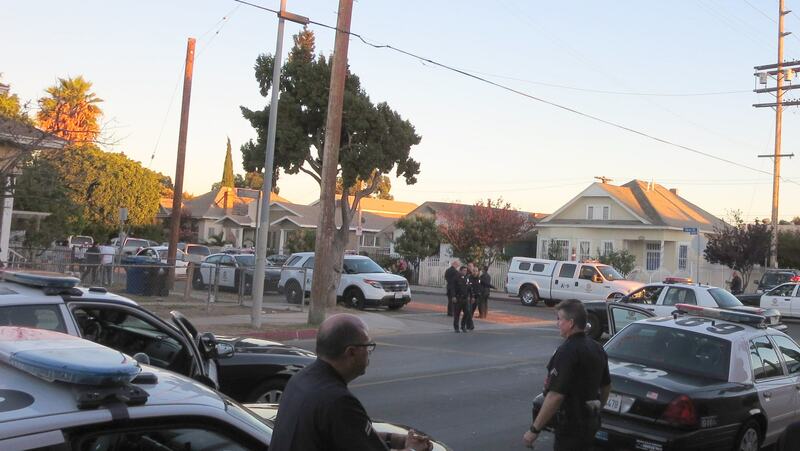 And it is being reported that the killings may have already started, as one man was shot dead and 12 wounded in more than six seperate shooting over the weekend in the 77th Street district – including the infamous Crenshaw area. Amongst the victims were two young boys, one aged as young as four and another aged 11, after a gunman approached their car and opened fire. And two days later, on Saturday, 47-year-old Anthony Alonzo Cudger was shot dead in a drive-by shooting as he sat in his car at the intersection of 81st and Hoover streets. Police are currently trying to work out whether the killings were part of the #100Days100Nights bet, or whether they were gang-related retaliation – something that is a constant issue for the LAPD. Five shootings involving one woman and four men occurred within five hours of Anthony Cudger’s murder, which prompted LA cops to spark a ‘tactical alert’ in hotspots around the city. As mentioned, it is still unclear as to whether any of the shootings had anything to do with the bet, however, police are taking it extremely serious as gang members say it will remain ‘on’ for 100 days straight. People have since been told not to commute between the streets of Western and Normandie in Los Angeles, whatsoever, as they could be risking their lives by doing so – all for a barbaric bloodsport. It’s making him look like a bad person. It’s not like he started this and got killed behind it. He had no control over what’s going on with #100Days100Nights. It’s just gonna put them in the same situation – You either are going to die behind this or go to jail behind this,’ the family member said. ‘It’s not gonna make a difference, it’s just making it worse.